At Children’s Dentistry of Redlands, Drs. Jennifer Hoffer and Heather Lauer provide pediatric dental treatments that strengthen young patients’ oral health now and prepare them for a healthy dental future. Our focus is to provide dental care that keeps your child’s smile happy and healthy. 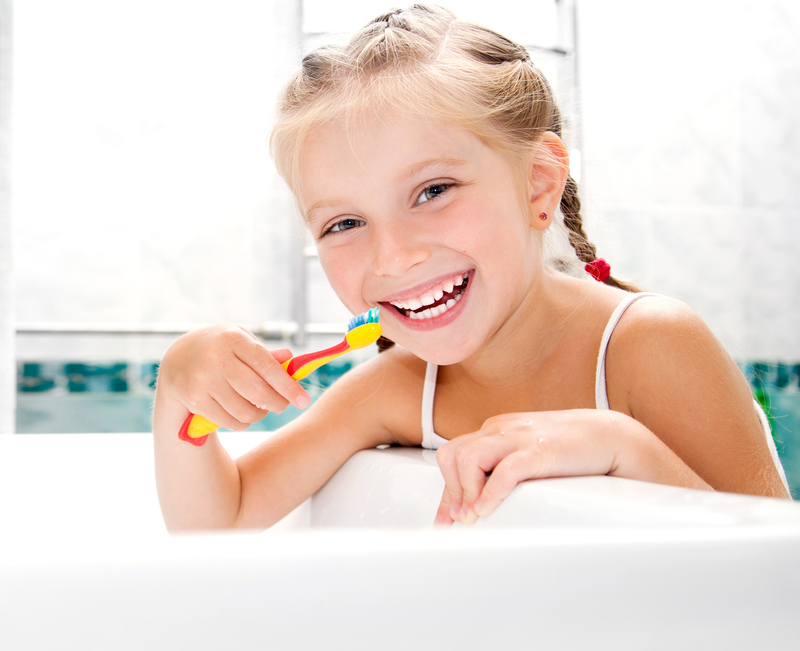 Contact our Redlands pediatric dental practice and schedule your child’s first visit today! Our goal is to better prepare children to keep their smiles clean and strong all the way into adulthood. The pediatric dentists at Children’s Dentistry of Redlands implement preventive care methods to treat problems now and strengthen smiles until permanent teeth come in. Preventive dental treatments is an important part of pediatric dentistry at our practice, such as sealants and fluoride rinses. In order to monitor, minimize, and alleviate early signs of smile alignment issues and ensuring the tooth and the gums are healthy. We provide treatments such as space maintainers to hold the space for any emerging permanent teeth. We also teach families about making the right diet choices to avoid pediatric dental caries. In the event where your child develops tooth decay or cavities, our Redlands pediatric dentists provide fillings and dental crowns. These restorations limit the spread of decay and preserve as natural tooth structure as possible. Drs. Hoffer and Lauer help parents and children better understand the importance of daily oral health routines that include frequently brushing and flossing teeth. We recommend to parents to create a dedicated routine and even brush alongside their children, to demonstrate the daily need to care for their smiles. On top of our focus on patient education, preventive measures for healthy teeth, and use of restorations, maintaining a healthy smile is also done through positive dental experiences. Drs. Hoffer and Lauer, and our staff are kindhearted and make sure that your child feels safe and comfortable throughout their visit with us. Our impression of dentists and oral hygiene begins with the experiences from our first visit to the dentist in childhood. Our Redland’s pediatric dentists understand the significance of a child’s first dental experiences and provide compassionate care that makes their visits with us phenomenal. By providing young patients with an environment in which they feel comfortable, safe, and relaxed during dental care is important in the development of their oral health and hygiene. Children who become accustomed to visiting the dentist are more likely to seek out treatment if they have a dental emergency and are less likely to develop dental anxiety or phobias. At Children’s Dentistry of Redlands, we provide quality kid’s dental treatments that result in lifelong dental health and function. For more information about our pediatric dental services throughout Redlands in communities such as Loma Linda, San Bernardino, and Yucaipa, contact our practice today!